Two aliens landed their ship on a golf course and watched a young man golfing. First he hit it into the high grass, mumbling and cursing he retrieved his ball. Then he hit it into the sand bunker shouting curse words he retrieved the ball. 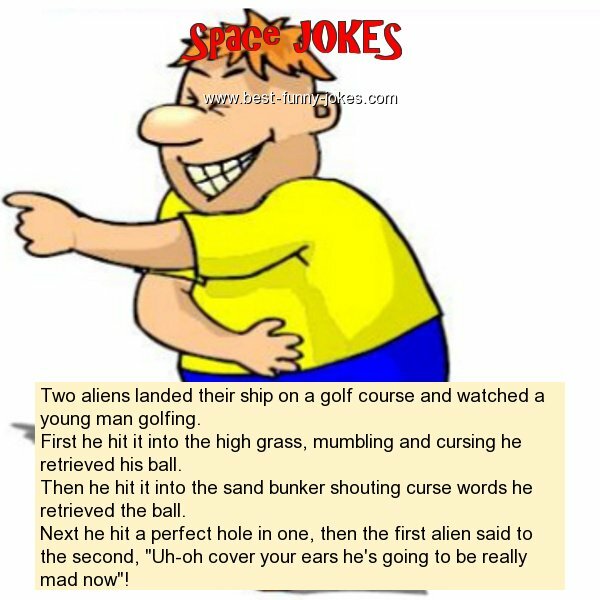 Next he hit a perfect hole in one, then the first alien said to the second, "Uh-oh cover your ears he's going to be really mad now"!